Google is known, in fact notorious, from casting its net wide to catch as many fish. A more appropriate metaphor, however, might be throwing as many things on a wall and seeing which ones stick. It already had an Android operating system when it suddenly launched Chrome OS. Despite what many naysayers said, Chrome OS stuck. Now Google has two operating systems to worry about. Google was once rumored to be working on a unified Andromeda OS that combines these two finally into one. That effort is pretty much dead but that doesn’t mean there’s no need for it. Here’s what Andromeda could have brought to the table had it actually been born. Android is ten years old (from its announcement) now and it can now be found in all sorts of devices beyond just phones and tablets. Cars, smartwatches, appliances, and yes, even laptops and desktops. Android, like Linux is everywhere. In contrast, due to Chrome OS’ design and purpose, it has been limited to computers that are primarily controlled with a mouse and keyboard. Laptops, desktops, and mini PCs practically make up all of Chrome OS’ incarnations. Andromeda would have combined all these hardware into one massive pool, ensuring that anything and everything would have Google’s mark on it. Because of their different hardware focus, both Android and Chrome OS fell short when it comes to embracing all types of use cases. Android just recently got official support for split windows, with hidden support for free-form, resizable, and floating windows. That was years after Samsung implemented something similar and after Chrome OS added that feature. While there might have been no easy way to merge the two code bases, Chrome OS’ window manager could have provided great insight into how to implement something similar for Android. And while Android technically already does have those features, Chrome OS could still inform the Android team on how to best do window management on larger screens. Chrome OS now works on devices that have touch screens, be it a convertible tablet or a regular Chromebook. It is, however, an afterthought and support for touch gestures is rudimentary at best. Just like Android’s multi-window support. It lacks the finesse and breadth of gestures that Android users have been enjoying for years. Andromeda, due to its bigger hardware selection, would have offered a more consistent touch experience across all devices. Those with touch screens, of course. In contrast, Android’s support for mouse is, to be blunt, atrocious. It simply maps buttons to an arbitrary touch gesture and doesn’t offer anything more. Different OEMs have tweaked and patched Android to save their users from frustration when connecting a Bluetooth or USB mouse. Not all of them do, and not all in the same way. Some even do it on a per-app basis, making the experience feel very broken. Since Andromeda would run on both touch devices as well as “regular” computers, it would have to improve on both and all input methods. It would have been an OS that truly worked anywhere and with whatever peripheral you had. While Chrome browser extensions exist by the hundreds, those weren’t really enough for the experience that Google was trying to sell with Chrome OS. And so Chrome OS apps were born, which were, and still are, a far cry from the variety and quality found on Google Play Store. Of course, that’s pretty much moot now that Android apps run on Chrome OS, but this might have been one of the fruits that came from the canceled Andromeda project. Admittedly, this would have been the hardest to pull off, given the difference in software architectures between the two. Google did, however, prove it was possible to some extent. Chrome OS was designed specifically for schools and offices and, as such, it was designed with the system administrator in mind. In contrast, Android was always an OS for a personal device and although Google now has an Android for Work program, it was simply tacked on rather than an integral part of the platform. 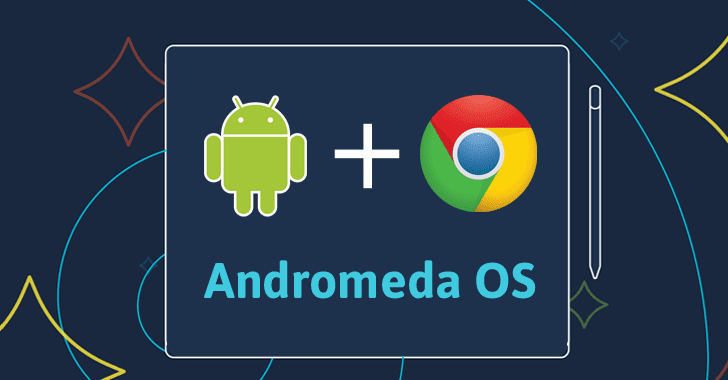 Given how a unified OS like Andromeda would also be used in such situations, it would have made sense to adopt Chrome OS’ tight control from the get-go, only adjust the administration levels to account for more personal devices. The biggest advantage that Andromeda could have brought to the mobile world was a singular focus from one of the world’s biggest tech companies. Especially useful for a company that has a short attention span like Google. Andromeda could have ensured that Google not only had an OS that worked on multiple kinds of hardware but actually worked great on them. It would have also future-proofed the platform to adapt quickly to any changing trend in the market. And a single OS would have assured users, supporters, and investors that the OS isn’t going away, not like the tinge of uncertainty that both Android and Chrome OS users still have today. By now, however, Andromeda is moot and academic. Android and Chrome OS have grown so far apart that putting them together would be counterproductive. At the same time, Google has made a bridge from Android to Chrome OS that gives a foretaste of what could have been, but with still some massive kinks to iron out. 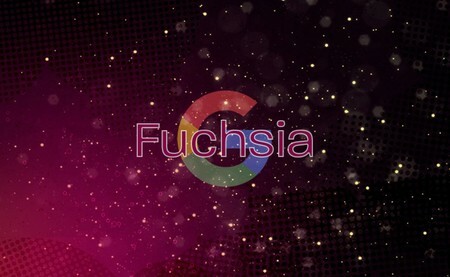 And then there’s Fuchsia, Google’s new rumored operating system that is neither Android nor Chrome OS but also both. It supposedly starts from scratch, complete with a new operating system kernel and a new software stack. Hopefully, it will build on the lessons learned from both existing operating systems, some of which were learned the very hard way. Because the problem with reinventing the wheel is making sure that comes out round.